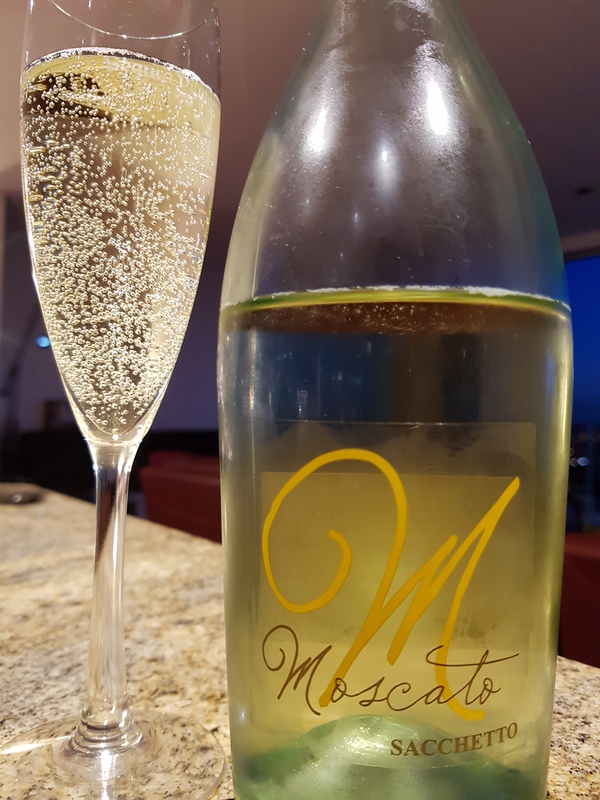 Moscato IGT Veneto – Sacchetto (Trebaseleghe, Italy) | Justintoxicated. Visual: (cellared for 5 years). Non-vintage. Resealable bailer-top bottle. Pours clear light sunshine yellow with tight large bubbles hugging the side of the glass, sporadic surfacing bubbles, a few singular slow steady small bubble streams. Frizzante. Summary: Very fruity forward with a big sweetness to back it up. The good thing is that there’s a density of flavour that accompanies the sugars. Slightly cloying and predicable in flavour, not quite a tropical and bright as I had hoped.